From the Weatherford Democrat, by Christin Coyne CNHI, August 20, 2012: WEATHERFORD — Last month, the Parker County Hospital District Board of Directors voted to make a voluntary payment of up to $9 million in tax revenue to the company that leases and operates Weatherford Regional Medical Center for yet-to-be-decided improvements to the facility as well as other plans. 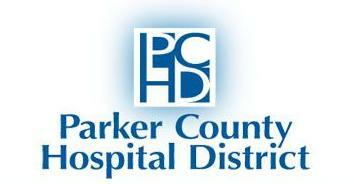 “That money is coming back into Parker County for the health care of Parker County people and to make improvements to the hospital,” board president Melvin Woody said. Five of the seven elected directors voted for the payment to Community Health System, Inc., with the exception of David Barbrick, a CHS employee who abstained, and Dr. Eric Floyd, who voted against and said he believes the payment is a waste of taxpayer money. Floyd said he has issues with the fact that such a large payment was voluntarily made to the for-profit company, as well as the lack of a contract. Though they have not nailed down everything on paper, it will not be a “no strings attached” gift, proponents said. Floyd, however, questions how much input the district will have regarding where the money is spent now that they’ve agreed to make the payment.